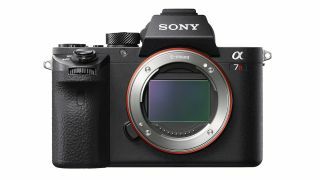 Black Friday camera deal extended: Get the 42.4MP Sony A7R II for just £1,299! We're still checking for the latest and best Cyber Monday camera deals and extended Black Friday camera deals and there are some amazing bargains still to be had. In fact, we had to do a double-take on this amazing offer to believe it – Sony's second-generation 42.4-megapixel A7R II is on sale body only for less than half its original price, at just £1,299 after cashback. It's the predecessor of the latest A7R III, so it doesn't have the new camera's super-fast continuous shooting speeds, but it does have Sony's ultra-sharp 42.4 megapixel sensor, in-body 5-axis image stabilisation, 399-point wide-area hybrid autofocus and 4K video. It's an unmissable opportunity for enthusiasts to get into Sony's high-end mirrorless camera system at a price we never expected to see! This price deal is also available from Park Cameras and from Jessop's - but without the free Gorillapod.